Congrats to our Latest Gifties Winners! It’s time for another Gifties winner update! Over the last few months, the Toluna Community has been taking home some great prizes! 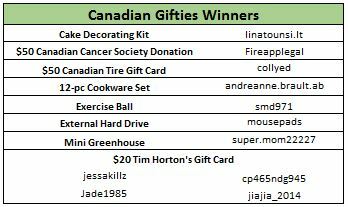 In fact, in the last 2 months, 95 of our US and Canadian members have won 50 different Gifties items! 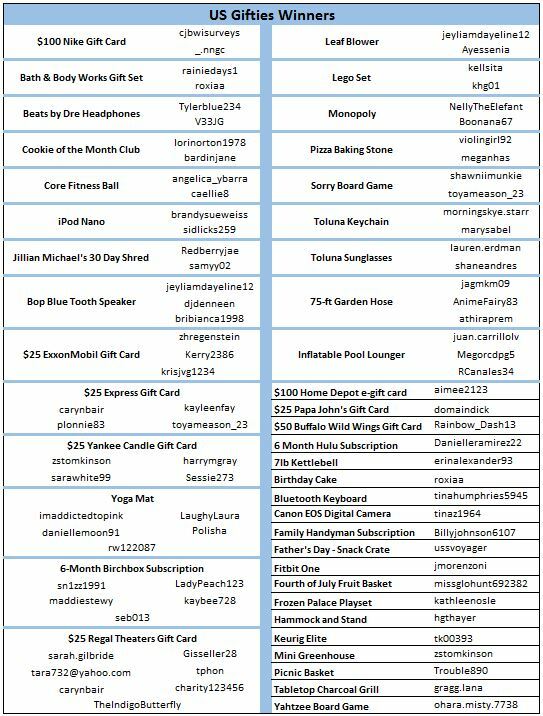 Of that, 14 different prizes were won twice each; 4 prizes were won 3 times; 3 prizes were won 4 times; 2 prizes were won 5 times; and the $25 Regal Cinemas gift card (US) was won by 7 members! To see who won all these great items, take a look below! Remember, the only way to be a Gifties winner is to play! So, head over to the Rewards Center for your chance to win one of our great prizes, and keep checking back for new items added every month!